It has been a busy start to 2018 for Lauren Piontek and Jackie Lai, the founders of the women's pro team known as Indy Red. Somehow they found time to provide insightful background on their women's pro ultimate team proposal and plans for their inaugural (2018) season as Indy Red (FKA Indy AlleyCats Red). SLUDGE: Let's start at the beginning. How did you become aware that the AUDL AlleyCats were planning to have a women's team? Lauren Piontek and Jackie Lai: The short answer: They weren't planning to have a women's team this season. We approached them with a partnership proposal. The long answer: After Detroit announced their plan for a women's team but no scheduled games yet, my co-organizer, Jackie Lai, and I got together and decided we wanted to put together a team to be able to play the Women's Mechanix team. We knew there were more than enough women to put together a team and wanted to make sure the Detroit women had at least one team to play (this was before we knew anything about Nashville's plan). We were going to make a team no matter what but hoped to partner with the AlleyCats. but hoped to partner with the AlleyCats." SLUDGE: What was the AlleyCats' reaction to your proposal? LP & Jackie: The AlleyCats' reaction was excitement. When we approached the AlleyCats' owner, we knew their budget had likely already been set for the year and didn't expect full financial support. We hoped for any support we could get and thought it would look unified and positively for everyone if we were working together. We were greeted with excitement and a game plan to provide field space for us, along with a method to recoup expenses through some revenue-sharing. SLUDGE: Can you talk about the decision of adopting the AlleyCats namesake & the 'Red' identity? LP & Jackie: Part of our original agreement with the AlleyCats had included using the AlleyCats brand and logo, but we wanted to alter it slightly to distinguish us as a separate team. 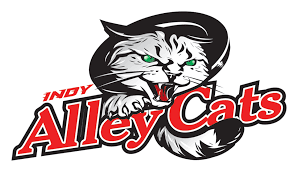 Changing the logo to red was suggested, and we decided to brand ourselves as the AlleyCats Red so as to avoid being branded as the AlleyCats' women's team. avoid being branded as the AlleyCats' women's team." SLUDGE: How have AlleyCats owners/staff been supportive of the ‘Red’ team? LP & Jackie: The GM of the AlleyCats has been the main method of communication between us and the owner, and he's negotiated for us, given us information we needed to this team off the ground, and filmed part of our tryouts for review later. The men's team's head coach helped us plan our tryouts and gave us an extra set of eyes at the tryouts as well. His input was invaluable. SLUDGE: Has anyone from American Ultimate Disc League office ever reach out to you during the last month or so? LP & Jackie: No, they did not. We do understand from conversation with owners from different cities that any women's teams affiliated or funded by AUDL franchises are not affiliated with the AUDL in any manner. SLUDGE: Have any AlleyCats (men) players been supportive of your team? LP & Jackie: The players we talked to were all excited for us, and a few asked when they could buy jerseys. Since this was mostly run by Jackie and me, I don't think they were aware everything that was happening especially since it was so fast-moving, but I think they would have given us help if we had asked. SLUDGE: What are some of your takeaways from organizing, conducting and participating in tryouts for this opportunity promoted as "women's pro ultimate" league? LP & Jackie: One of the biggest takeaways has been that women have a enormous amount of desire to make this happen. We had women from St. Louis, Bloomington, South Bend, Cincinnati, and varying Indiana towns come in for tryouts - even when weather looked unpleasant (it snowed the first half of our second tryout). Update: it's only snowing a little. Another takeaway is "build it and they shall come." I think similar to what Detroit had mentioned in their interview with Ultiworld, we just hadn't asked what the interest was in having a women's pro ultimate team was here, but within a day of posting the interest survey we had 50+ responses. All it took was asking and setting up a couple tryout times. Here we are, four weeks later, with a full roster of exceptional players after two rounds of tryouts featuring highly competitive play. SLUDGE: What prompted the Friday's announcement becoming Indy Red and breaking away from Indy Alley Cats? LP & Jackie: Last weekend, it became clear that there had been a misunderstanding of our original agreement with the AlleyCats' owner. We tried to re-negotiate and weren't able to reach an agreement that Jackie and I felt truly promoted gender equity - prompting us to separate affiliation with the AlleyCats. "...it became clear that there had been a misunderstanding of our original agreement with the AlleyCats' owner. We tried to re-negotiate and weren't able to reach an agreement that [we] felt truly promoted gender equity." [UPDATED 3/8/2018 via] One main reason for the break was the final agreement on distribution of ticket sales. Tim [Held], the owner of the AlleyCats, would not budge past 50% of ONLY special Red ticket sales, no gate sales, for admission to both games. Obviously, this is not an equal distribution of value for both teams. Indy Red broke ties with the Indy AlleyCats due to circumstances that couldn't allow our leaders to genuinely partner in light of gender equity. SLUDGE: How did Indiana Ultimate Foundation get involved? LP & Jackie: The Indiana Ultimate Foundation (IUF) had originally agreed to fund most of our needs from the start (except for the field space and home game experience offered by the AlleyCats). When we announced we wanted to make a team, they opened a discussion with us on how they could help to make this happen, as their values and beliefs align directly with this endeavor, and they had the financial ability to help fund us. Overall, the Indianapolis community has been overwhelmingly supportive. From financial pledges to volunteering their time, we've had no shortage of help. We're incredibly grateful and by no means have been alone in trying to make this happen. have been alone in trying to make this happen." SLUDGE: How's the reaction been to the recent announcement? LP & Jackie: It has been bittersweet. Everyone, including Jackie and I, agrees it is unfortunate we aren't working with the AlleyCats anymore, but they continue to be very supportive of us moving forward to provide this opportunity for women in our region. We are still extremely excited to be able to have the IUF's support in providing this opportunity for women's ultimate to grow, and we continue to support the Indianapolis AlleyCats as they work towards success this season. SLUDGE: What a whirlwind! 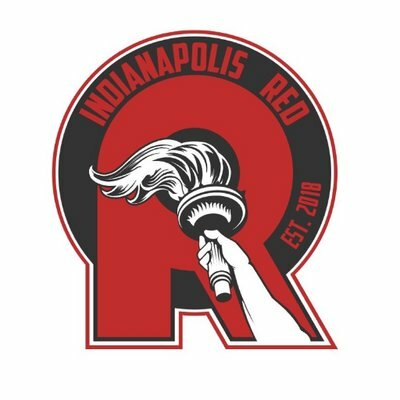 What's next for Indy Red? LP & Jackie: Next, we finalize our practice and game schedule. We have mostly solidified dates with Detroit and Nashville and are talking about a couple more games. We just need to figure out the logistics. This should all start around the same time as the AUDL men's season (March 31). We're in the final stages of firming up the dates.